Even before they had reached the decisive tie-breaker, there had come a time early in the third set when Sloane Stephens and Anastasija Sevastova had entered the territory of the unforgettable. It had been the situation, a US Open quarterfinal. It had been the weather, for the first time of this year’s tournament, an uncomfortable, sticky humidity. Most of all, it had been the matchup. 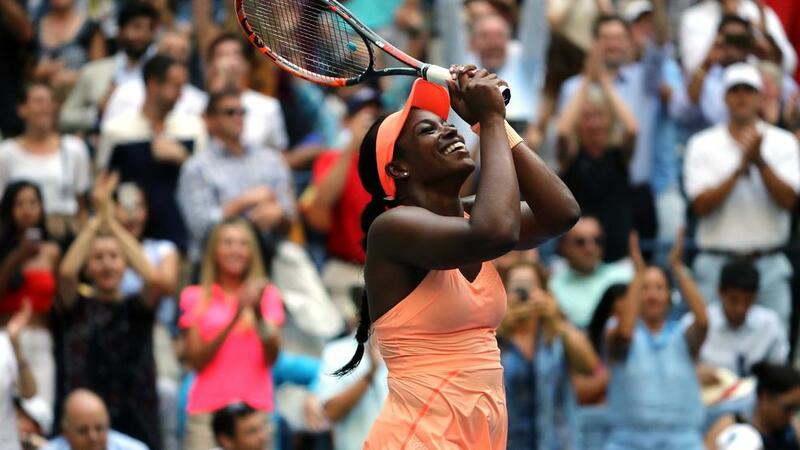 There was Stephens, a big puncher who over the course of this resurgent summer had become impressively more judicious in her use of pace, consistency and court positioning. And then there was Sevastova, the classic underestimated and unknown. It is easy to take in the strengths of players like Stephens or the one Sevastova had beaten two days earlier, Maria Sharapova. They are the concussive ones, strong enough to knock over opponents with the deadly candor of a heart attack. Sevastova is different, more prone to nibble around the edges with subtle but disruptive forms of annoyance – shifts in pace off the forehand, an appetite for slice backhands and drop shots, a two-handed backhand that can intermittently be struck hard, either driven flat down the line or whipped crosscourt. Stephens had played just well enough to win the first set, 6-3. As always, her forehand in particular was forceful, struck with depth, pace and precision to all parts of the court. Sevastova plays in such a way that it was bordering on the mysterious to understand how she even won the second set. What was going on out there? While Stephens would crack big, Sevastova would weave, to the point of subtly helping Stephens become an accomplice in her own demise. Were it a match between two recreational players, you would expect to hear Stephens say, “How can I lose to this guy?” Call it hypnotic. But Stephens persevered. If the match was up and down, her attitude was relentless, her attitude less about emotion and more about composure. These are the kind of matches a player must work through. No single point tells the story – well, almost. Serving in the third at 1-3, 30-40, Stephens was one point away from a likely fatal double break. But she won that point with a vaguely mishit crosscourt forehand that elicited an error. The frequent weakness of the crafty player like Sevastova is that while she can cut, she can’t kill. A trick when playing people like Sevastova to know is that they will always give you a chance to miss; so, Stephens saw, it’s best not to. After two hours and 17 minutes, it was 6-all in the third. The crowd screamed loudly; nothing quite like the US Open, New Yorkers and all who flock to the Big Apple, eager to get in on the action. Stephens went up 3-1. Sevastova leveled for 3-all and then played two horrible points, tightly flagging a forehand crosscourt wide, then the same on the backhand. Stephens, serving at 5-3, netted a forehand. Then, the same from Sevastova on the next point, and so she served at 4-6. On Stephens’ second shot of the rally, boom, just like that, a backhand down the line winner. In many ways, this match was more challenging tactically and emotionally for Stephens than the ones she’s played and hopes to play against more notable players than Sevastova. Call it a rite of passage.